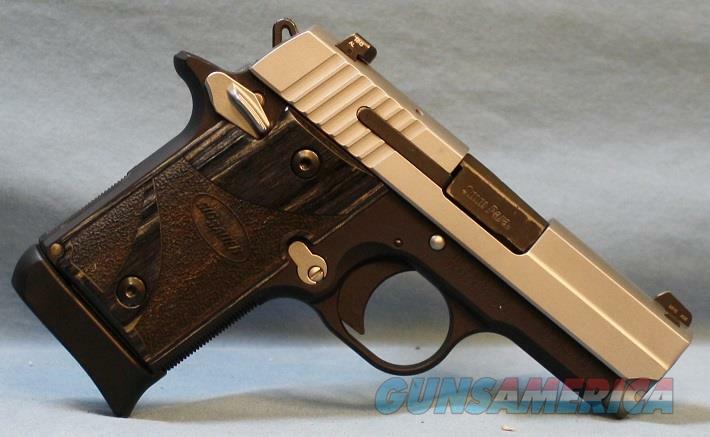 Description: Sig-Sauer P938 Semi-Automatic Pistol, 9mm with 3" barrel, Blue and Silver two tone finish, Wood Factory Grips, military style sights, four 6-round magazines, gun is used no box. US Postal Money Order or Certified Check only. See ADDITIONAL INFORMATION for fees and polices.